Digital marketing has various aspects like Social engine optimization, Social media marketing, Social media optimization, Email marketing, and many more. Social media marketing plays an important role to enhance growth of a business. Social media is a platform where customers and marketers can directly interact with each other. So it is not helpful to small organisation only but greatly involved in success of large organisation as well. If social media marketing strategy is implemented wisely in a good direction then success will definitely come into your account. It is a best way to become popular among customers and world. Social media marketing also spelled as SMM is a digital marketing strategy which involves various social media platforms to achieve marketing goals related to communication, interaction with customers, and brands. It includes activities if sharing of audio, videos, images, text for advertising and marketing purpose. It also includes paid advertisement. Although many social sites are available, like: FaceBook, twitter, LinkedIn, etc., LinkedIn is the most powerful tool for marketing. It is a professional social media network rather than an entertaining platform. Professionals and students are using this platform for career growth. It is powerful tool which helps a recruiter to find right candidates to hire them. Similarly it helps a student to make a career with an organisation and a professor to growth. It provides a great platform for business as well. Today’s world is highly competitive in almost every field. One who can adopt changes and consistently working to compete with changes can surely achieve success in respective field. Similarly business world also follow same rule. Success lies behind continuous changes and adaptation of new marketing strategies. In this context, social media marketing is a modern marketing strategy to achieve success in business. And so because of availability of various platforms LinkedIn is more effective. It comprises of many advantages like involvement of professionals, job seekers, and students. It is a great platform for marketing and interacting with professionals as well. LinkedIn are basically for professionals, business, job hunter, and students. It specially establishes a positive marketing and business environment. It is a platform where a businessman can interact with others for B2B marketing, partnership, presenting business quality, and many more. It helps in brand awareness also. Business can take advantages of expert’s words. All in all, LinkedIn is a platform where you can enhance your business start your career, enhance your career, learn business strategy, take expertise advice, involved in interaction with experienced person of same field, and many more. It gives you to do something more rather than like, comment, share, entertainment, etc. So it can be concluded that LinkedIn is perfect for marketing and for business enhancement. We don’t have to ignore other popular social website as well because they also have significant roles. Let’s see why LinkedIn is more effective social platform or marketing tool than other social sites. LinkedIn have many advantages and more effective than Facebook when it comes to marketing. As compared to Facebook, LinkedIn is more secure which means that your profile is safer. 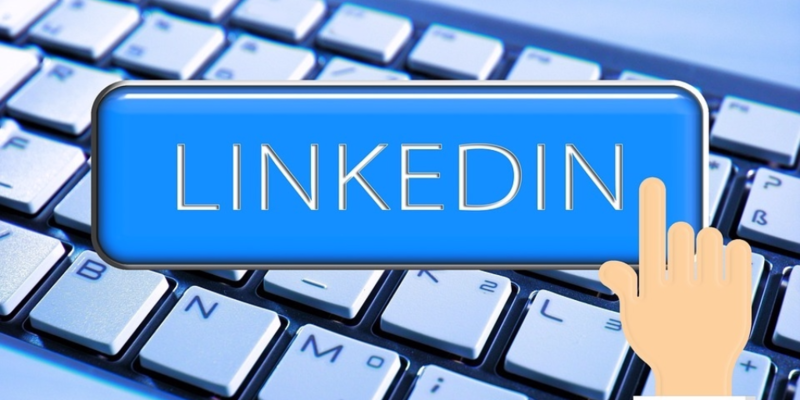 We often hear about Facebook profiles being hacked as compared to LinkedIn. Hence people prefer LinkedIn over Facebook. LinkedIn is more genuine when it comes to profile creation as compared to Facebook. According to a survey conducted by CNN, it was found that there are almost 83 million fake Facebook profiles. Hence we cannot trust the authenticity of a profile on Facebook. Facebook is more of a social media website whereas LinkedIn is more of a marketing website where one can connect with genuine recruiters for a job. Hence LinkedIn is more preferred over Facebook for marketing purpose. Twitter is the latest trending short messaging website which has popularized the word Hashtag. On an average there are over 500 million tweets per day on Twitter. People tweet about latest topics and share short inspirational quotes. But when it comes to marketing, Twitter seems to lag behind as the tweets are mainly on latest news or trending topics. Twitter users can tweet about their products on the site. But when it comes to interacting with users or customers, Twitter seems to be lagging behind LinkedIn. The main disadvantage of Twitter is that when a new topic trends, people start following it and forget about earlier topics. Google+ was created as a substitute to Facebook. It was an attempt by Google to enter the social media platform through Google+. The main disadvantage of Google+ is that you need to have a Google or Gmail account to create a profile on Google+. Hence it is not so popular among non-Google account holders. One can share pictures and videos, write something or becoming friends with other users just like Facebook. All these features make Google+ more of a social media website than a marketing website. Since Google+ is not so famous among users, it fails when it comes to marketing as their reach is limited. The main disadvantage of Google+ is that you cannot add individuals to your Business circle as compared to LinkedIn making LinkedIn more popular. Intagram is online photo-sharing social networking website. People share their photos and videos on it.The main disadvantage of Instagram lies in its basic feature, i.e. one can only share pictures and videos and it is not recommended in the modern marketing world as users want to know more about the product rather than just looking at the picture. A bad picture may cause you to loose followers. The other main disadvantage of Instagram is that the Istagram app is designed for IPhone and android platforms. So a windows, Blackberry or Linux users cannot access it. Tumblr is microblogging social networking website owned by Yahoo. Users can share pictures, videos and posts. The best feature of Tumblr is you can select from a given theme to make your post look more attractive. The disadvantage of Tumblr is that the network is frequently down. The account holders on Tumblr are relatively young and mostly non-relevant with respect to marketing. Pinterest is a social network where you can share and collect images of interesting things and events. Here images are termed as pin and its collections are called pinboards. It is not widely used by vast number of people so you may be trailing behind in your business because it is unable to attract more audience. Since, images play a vital role in this social site so you need a high quality of image while uploading an ad. Pinterest is mainly focused on item like cooking recipes, home designing, and fashion. Regular repining process result in loss of link to your site and thence in user lesser user traffic.